The grocery money is getting low for this month, so this week I'm trying to use what we have around the house to make our meals. I don't have a lot in the freezer right now, so our meals might be a bit odd for June. For example, I did have a turkey in the freezer (I tend to buy a couple extras during holiday times when they are cheap), so we'll be having turkey dinner one night and lots of turkey sandwiches for lunches. I did make a new cake recipe this week that was delicious (thanks, Debbie!). For more menu ideas, check out orgjunkie.com. Have a great week! Preheat oven to 325 degrees. Grease and flour a bundt pan. Mix all ingredients together in mixer for about 2 minutes. Pour batter into prepared pan and bake in oven for 45 minutes or until center is set. We had a good time this past week. My computer workshops went well, and the Skillet concert was amazing. We went swimming at my parents' house on Saturday, and today the boys went rock climbing while I worked on eMINTS lesson plans for the coming week. I made my first messenger bag this week which I am very proud of, and I hope to make another one this week. The boy goes to band camp this week, so it's just me and the hubby. I hope you enjoy the menu. 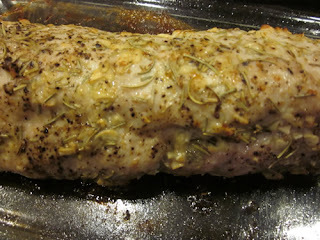 For meal plan ideas, check out orgjunkie.com. I know this has nothing to do with dinner, but I really wanted to share my new crafty activity. I branched out from apron sewing and made my first bag! I was "sew" excited about this project. I made my first zipper pocket ever, and the bag is fully lined. I am very proud of how it turned out. I hope you enjoy the pictures. Combine first 7 ingredients in a 3-qt slow cooker. Cover and cook on low for 4-5 hours or until meat juice run clear. Combine cornstarch and water until smooth; stir into cooking liquid. Cover and cook on high for 30-45 minutes or until thickened. Serve with rice. So far this summer I have participated in two summer apron swaps: The Sassy Apron Swap and The Flirty Apron Swap. I have really enjoyed sewing again, and it is "sew" fun to make these surprise gifts for someone else. It's kind of like having a secret pal that lives far away that you don't know. :) Of course, it's also fun to receive a package as well! Here are some pictures of the aprons I made and the aprons I received. Enjoy! Preheat oven to 350 degrees. Brown ground beef and drain if needed. Mix in a can of enchilada sauce and can of tomato sauce. Cut the refrigerated biscuits into fourths and stir them in the meat mixture. Pour it all in a greased casserole and bake for 25 minutes. Take out of oven and sprinkle cheese on top. Bake an additional 10 minutes. Let stand for 5 minutes before serving. Last week's meals were wonderful. I enjoyed getting to eat so many fish dishes. :) The Padre Island Shells were wonderfuly flavorful, and my own recipe for Mexican Gumbo was outstanding. This week is a full one for us, like usual. I am teaching computer workshops almost every week this summer all day long (just finished my first week with my awesome new eMINTS4All group last week), so that makes my summer meal planning a bit more challenging than usual. Corey still has tennis and scouts this week, plus he's helping me with my computer workshops since I have very large numbers signed up for this week's classes. We are going to a Skillet concert on Friday, which is also my 16th wedding anniversary (Love you, Honey!). Here's what's on tap for this week. 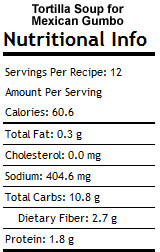 For more meal plans, go to orgjunkie.com. This is my take on a favorite from Qdoba. It is awesome and very filling! In a large stock pot mix the chicken broth, chili powder, cumin, green chiles, and tomatoes. Add the the onion, chipotles, and salsa. Use an imersion blender to mix to a semi-smooth texture. Turn heat to medium high and bring to a boil. Once it boils, reduce heat and simmer for 30 minutes. Whisk together the masa and water in a small bowl and add to the pot. Simmer for 30 more minutes. 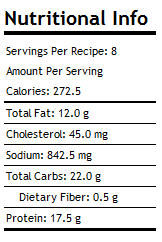 The nutritional information below is for the soup. 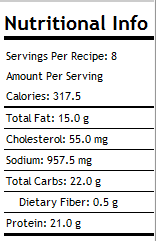 You will need to add additional calories, etc. 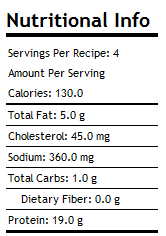 for the specific items and portions you add to your bowl. Remove pork from grill or oven and let rest for 10 minutes before slicing. In a large saucepan, saute onion in 2 tablespoons butter until tender. Stir in flour and salt until blended. Gradually stir in milk. Bring to a boil; cook and stir for 2 minutes or until thickened. Stir in tomato and parsley. Remove from the heat; stir in 1 cup of cheese until melted. Stir in pasta and crab. Transfer to a greased shallow 2-1/2-qt. baking dish. Cover and bake at 350° for 20 minutes. Melt the remaining butter; toss with bread crumbs. Sprinkle over casserole. Top with remaining cheese. Bake, uncovered, for 5-10 minutes longer until golden brown. School's out for the summer! Well, for me, not really because I start teaching new eMINTS classes (those are the computer classes I teach) on Monday. But, it still sounds good. :-) Last week's meals were great, especially the grilled bacon-wrapped hot dogs. I will be keeping those on the summer menu. This week, the boy went to his grandparents' house so he wouldn't have to stay home by himself. He's been running a fever all weekend, and I really didn't want him to have to suffer at home alone while his dad was at work and I was teaching. Thank heaven for grandmas. :) Because the boy won't be here for meals, you will see a theme in this week's menu. I get to cook things that he won't eat! So, you will see lots of seafood on the plan. I hope you enjoy! For other meal plan ideas, check out orgjunkie.com.